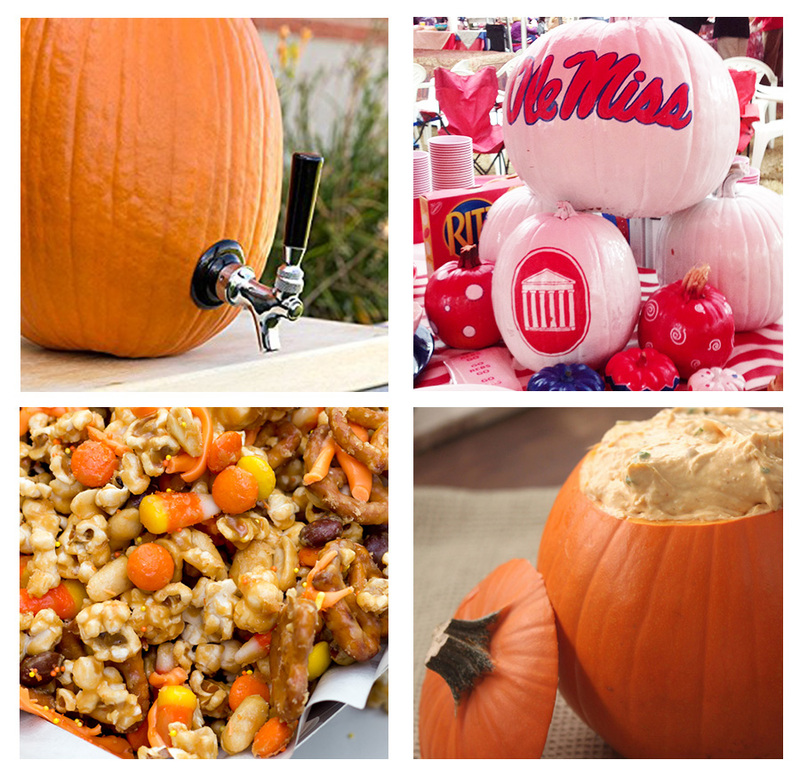 Pumpkins are such an easy and fun way to incorporate into your tailgate recipes or decor. Here are some creative ideas. Make a pumpkin beer tap. Paint your pumpkin in your team colors. Add candy corn to a ton of different recipes to make them more festive and Halloween inspired. I like this recipe from Wholefully - Peanut Butter Monster Munch. Hallow out a pumpkin and put anything in it; flowers, dip, or even beer.